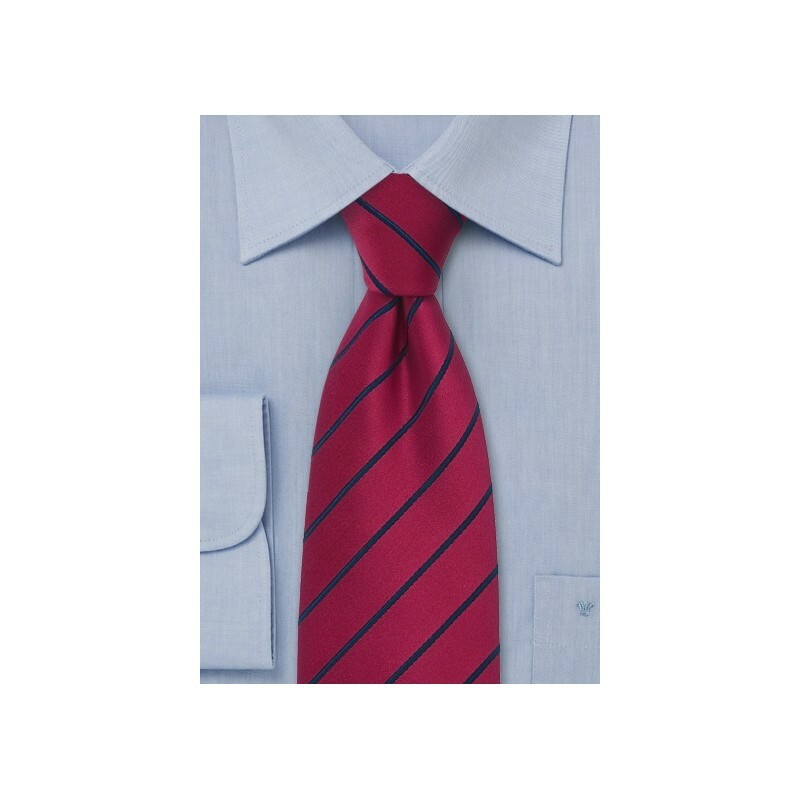 A trendy striped tie in raspberry-red and navy blue. 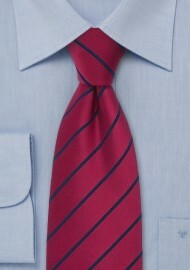 The fine dark blue stripes are directly woven into the raspberry color fabric. It is a fashionable necktie that will add a nice color to any ensemble while still preserving the elegant "suit & tie" look. This tie will be much easier to match to shirt and suit than it may seem at first. We have tried all suit colors on this tie: navy, gray, charcoal, tan, and even dark green - they all perfectly compliment the colors on this tie. Our favorite look for this tie however is a solid medium-blue dress shirt and charcoal gray suit. Made from microfiber.